Azure Partners and Harbor Group International bought the 40-story high-rise in New Rochelle from the DSF Group. Halstead New Rochelle Metro North, the tallest apartment building in Westchester County, sold for $259.4 million. NEW YORK CITY—Value-add property near mass transit continues to grow as a popular strategy for real estate firms. 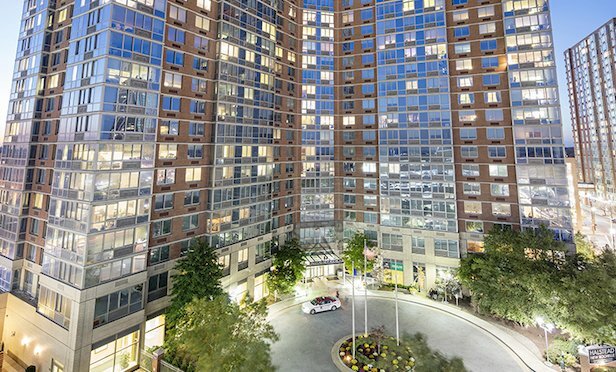 The DSF Group sold the Halstead New Rochelle Metro North apartments to Azure Partners and Harbor Group International, LLC for $259.4 million. DSF had bought the 40-story, 588-unit apartment building that was built in 2007 in November 2013 for $210 million, according to Real Capital Analytics. The residential tower is located at 40 Memorial Highway in New Rochelle, Westchester County.